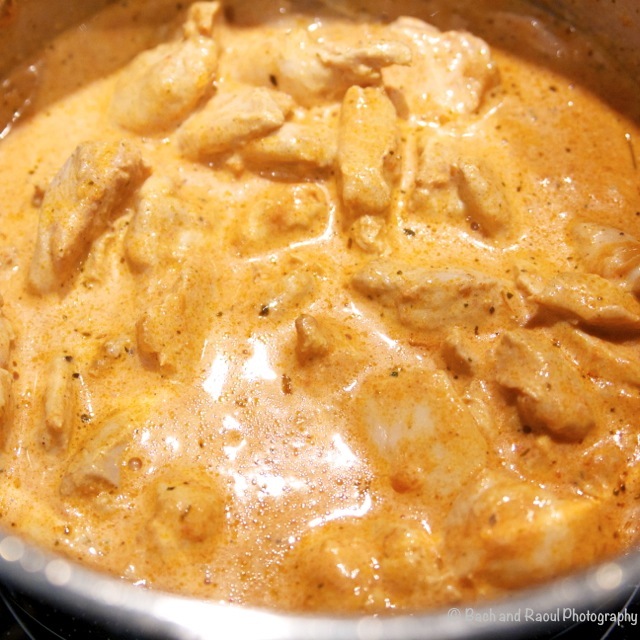 I feel like I am a bad Indian, posting a butter chicken recipe. Usually, I am the one dissing my friends who order it in restaurants. (Is 'dissing' a word now? Because I was totally expecting it to come up with a wiggly red line underneath.) But in my defense, the butter chicken you get in most restaurants are chicken pieces in ketchup and spices. So, yes, I nag my friends. Wouldn't you? If you saw them making a mistake? We do it because we're good people. 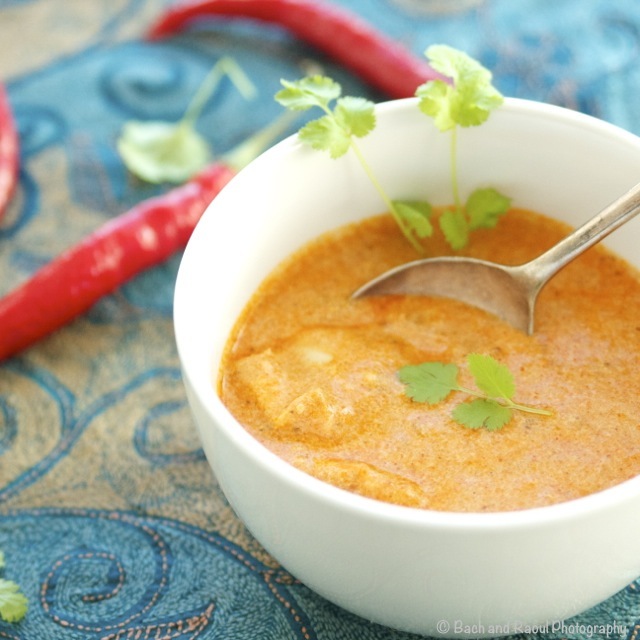 I posted my butter chicken recipe a while ago but I felt like the recipe needed a revamp. With real butter. We're going to give our conscience a mini vacation and do it the right way this one time. If you still can't get yourself to stop feeling guilty, I suggest inviting some friends over. Share the butter chicken. And the love. And the calories. Feel better? Good. 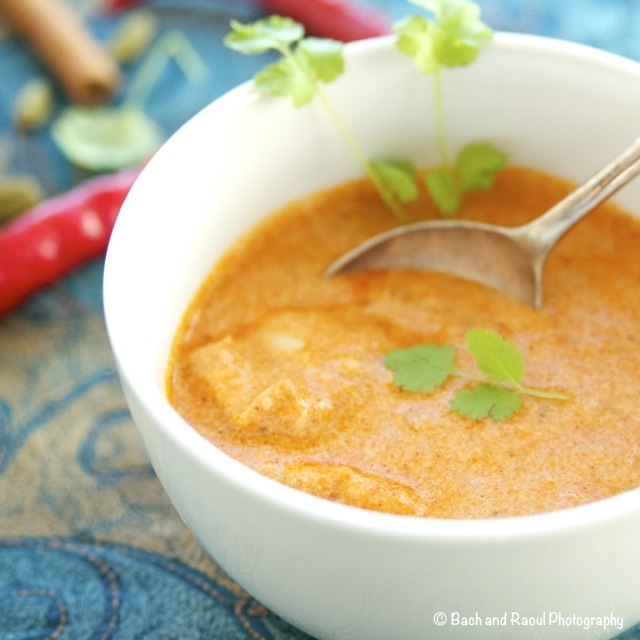 Would you believe me if I told you that this is a ridiculously easy recipe? It is! 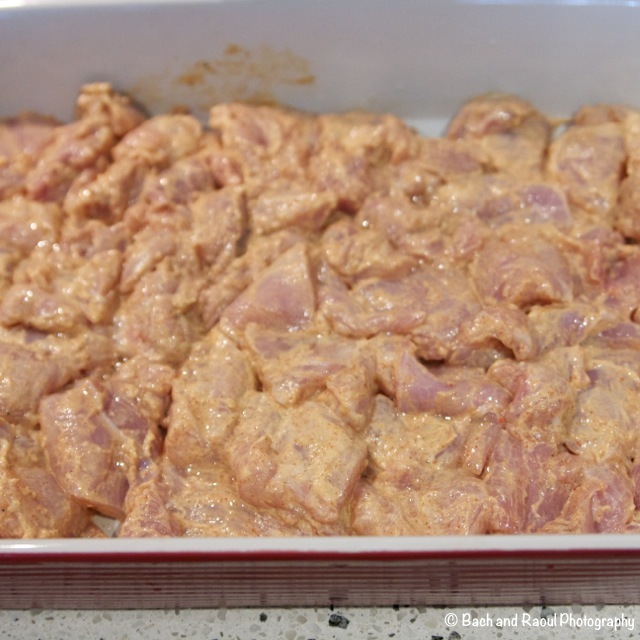 Clean and cut the chicken thighs in bite size pieces. Remove as much of the fat as you can. I am pedantic about it so this takes me ages. 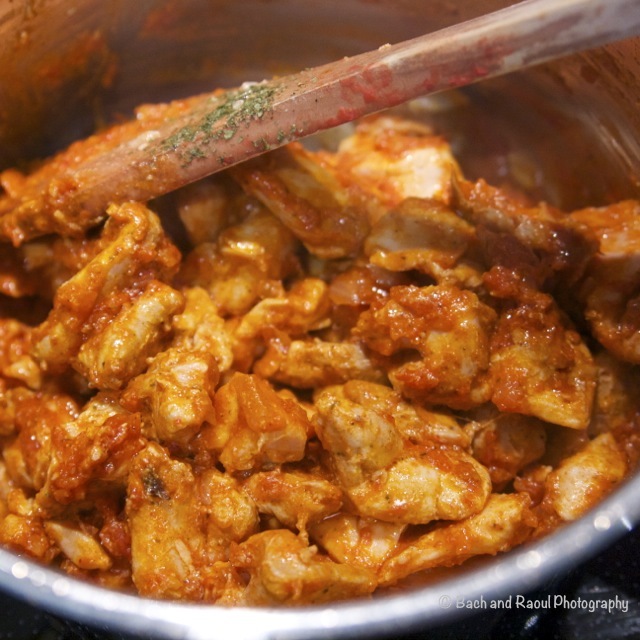 Don't use chicken breasts in this recipe, they dry out very quickly turning quite rubbery. 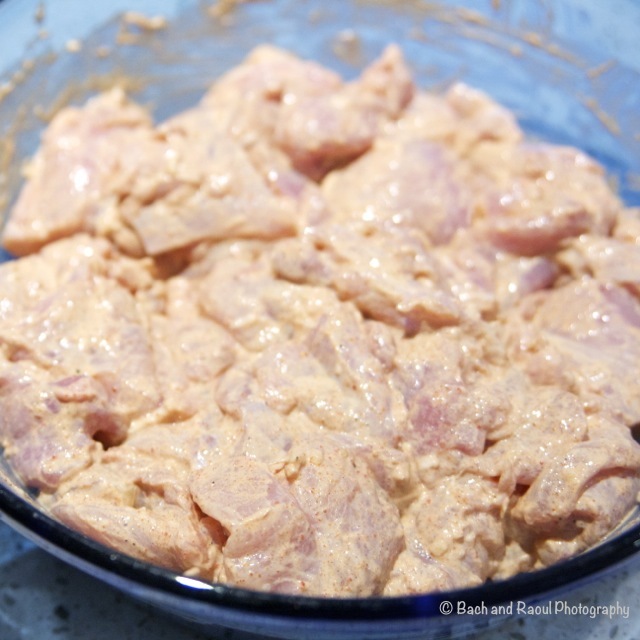 Add the chicken into the marinade and set it aside for a couple of hours. 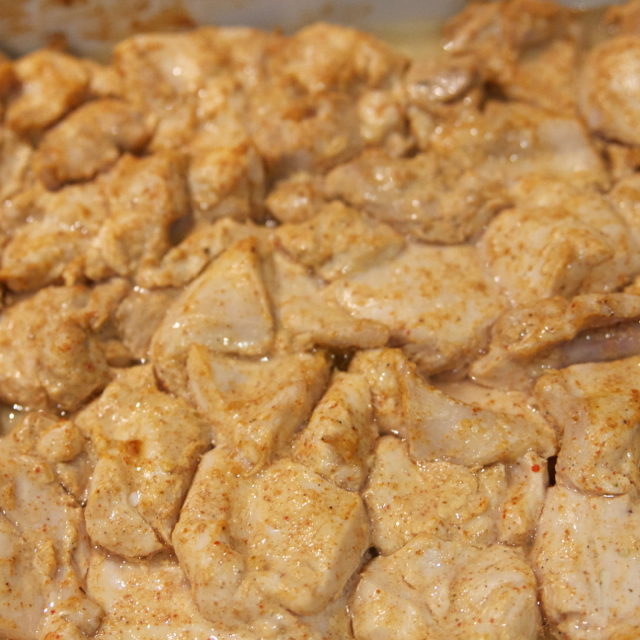 When ready to cook, grease a large baking tray and lay out the marinated pieces of chicken. Set the oven to "broil" and cook the chicken for about 10 minutes. While the chicken is cooking, prepare the sauce. Or curry. Or Gravy. Whatever you like to call it. Chop the onion as fine as you can. This is important! Heat oil and butter in a pot and add the cardamom seeds, crushed (discard the green skin if you like) and crushed cinnamon. Don't add too much cinnamon, it tends to be quite overpowering. 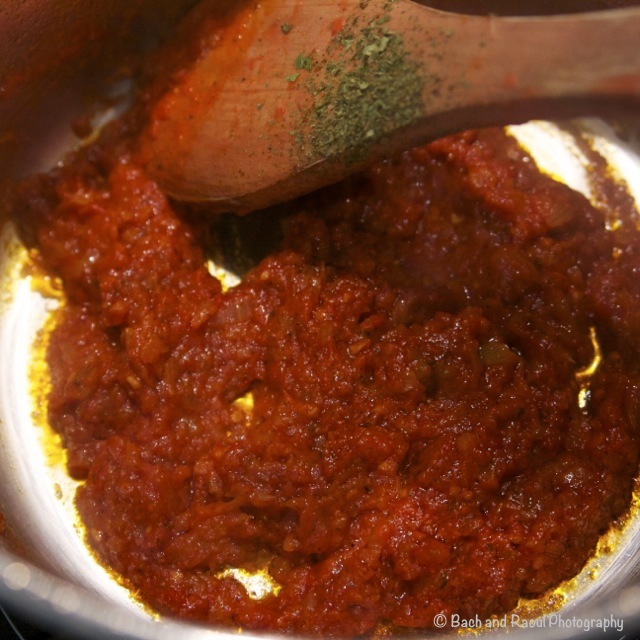 When the onions are translucent, add the rest of the tandoori chicken powder, about 1 teaspoon. 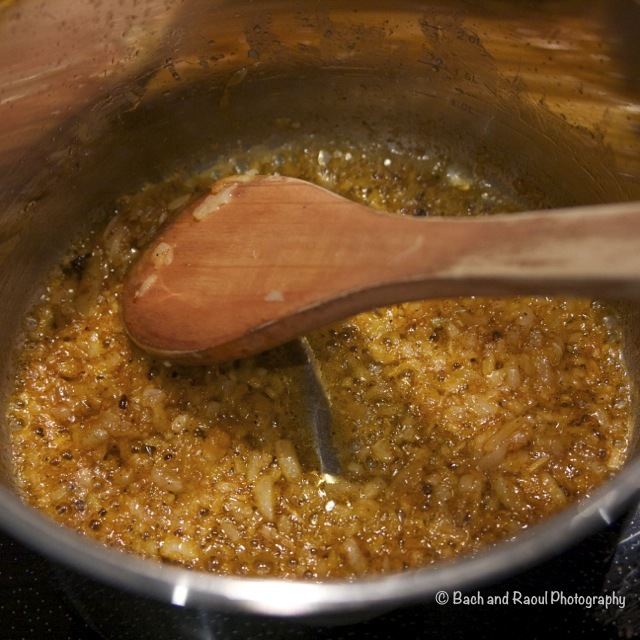 Stir it through and cook for a couple of more minutes. Add the crushed tomatoes and salt. Cook the tomatoes thoroughly, about 7-10 minutes. 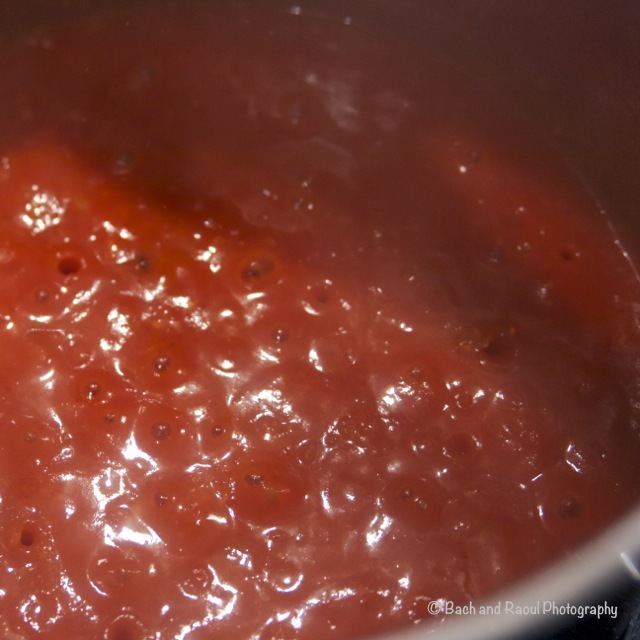 You'll know it is done when the oil and butter start to separate from the tomato mixture. Add half a teaspoon of sugar. Add crushed Kasoori methi. Contrary to popular opinion, I do not recommend crushing the Kasoori methi in your hands. It will stink your hands up for a week! Use a bowl and crush it with the back of a spoon. You can thank me later. Now add the grilled chicken and combine gently with the sauce base above. Add the milk and cream. 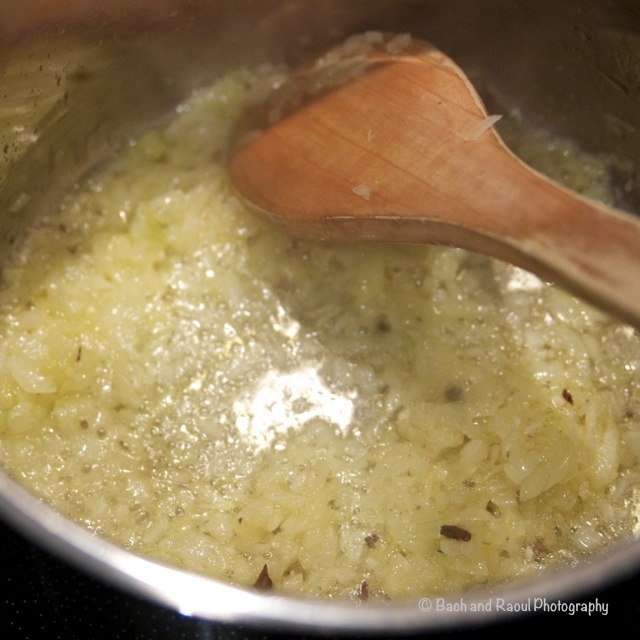 Reduce the heat and let it come to a slow simmer. About 5-6 minutes. Garnish with cilantro (optional). 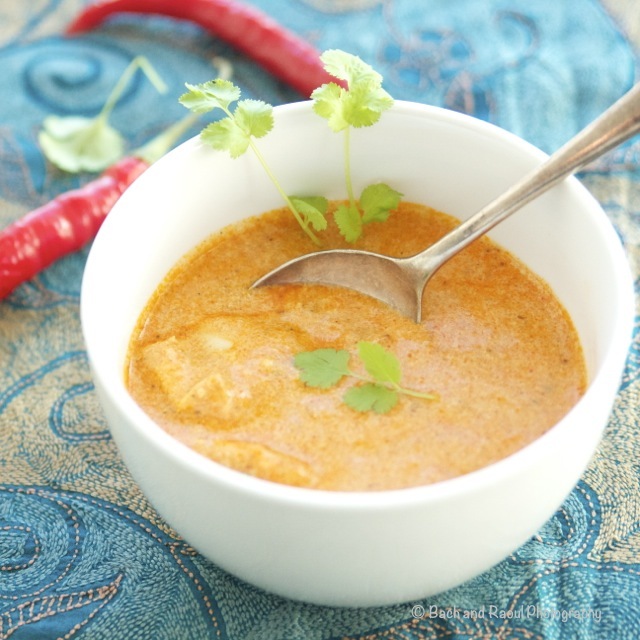 Serve with rice or naan. Wow! This looks delicious! I would yell at my friends for eating chicken drenched in ketchup too! Too funny!! Yuuuuuuuuuuuuuuuuuum! I love butter chicken so much, but it's so disappointing when you go to a restaurant and they've blanded it down into chicken with ketchup. 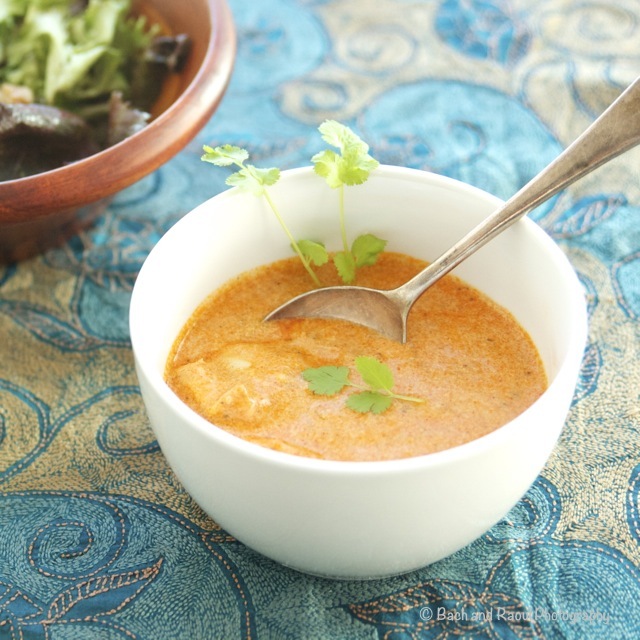 I'm going to have to look into where to find Kasoori Methi near me so I can make this droolworthy version for myself! Heya! Thanks for stopping b you should be able to find kasoori methi at any Indian grocery store. You're looking for a green little box.